If you're in the market for a new full-sized SUV, you likely realize what a crowded field this is in the automotive industry. One of the top SUVs available is the 2019 Mercedes-Benz GLS-Class. This is a large, luxury SUV with four doors and a rear hatch. This vehicle can comfortably seat up to seven passengers and still has plenty of room for your cargo. It offers the style, performance and craftsmanship that we've come to expect from Mercedes-Benz. The 2019 GLS-Class is part of the 2nd generation of this vehicle that began with the 2013 model. New for this year is the Limited GLS Grand Edition trim package. This premium model offers upgraded leather and wood trim for the interior. You also get custom wheels and adaptive, LED headlights. The 2019 Mercedes-Benz GLS-Class comes equipped with one of three different engines. All of them are gasoline engines. All of them provide massive power and torque. You can expect excellent performance and amazing acceleration no matter which engine you choose. Best of all, the vehicle never feels bogged down or sluggish, even when loaded up with people and cargo. The base power plant is the Mercedes 3.0L V-6 Biturbo motor. This engine makes 362 hp and 369 lb-ft of torque. It can get you from 0-60 mph in 6.5 seconds. The next step up is a 4.7L V-8 that can produce 449 hp and 516 lb-ft of torque. This gets your 0-60 mph time down to 5.2 seconds. At the top end of the performance spectrum is the Mercedes 5.5L AMG V8 Biturbo. This isn't your standard production motor. Mercedes-Benz handcrafts these engines with great care and precision. With this engine, you get 577 hp, 561 lb-ft of torque and a 0-60 mph time of just 4.5 seconds. That time is astounding for a vehicle of this size and weight. Driving this large SUV feels more like driving a much smaller vehicle. The 9-speed, automatic transmission system shifts smoothly and accurately. Steering is firm and accurate at any speed. The GLS-Class does a good job of squeezing around curves with little-to-no body sway. The brakes feel great and stop the SUV in a much shorter distance than you would think possible. The small turning radius gives the GLS-Class much better maneuverability than any vehicle this large has a right to have. Overall, it's a fun vehicle to drive around in. Mercedes-Benz vehicles are known for providing a smooth, amazing ride quality. The 2019 Mercedes-Benz GLS-Class doesn't disappoint in this category. The air suspension system soaks up everything the road throws at it. When combined with the comfortable, supportive seats, you will rarely feel any bumps in the road. The engine runs so precisely and so smoothly, that you will hardly know it's running at all. Engine noise and frame vibrations are nonexistent in the GLS-Class. It is super quiet inside of the Mercedes-Benz GLS-Class. Mercedes does a great job of mitigating road, engine and vibration noises. You can opt for heating and cooling in the seats. You can even choose to have a massage feature for the driver and front passenger. There is nothing cheap on the inside of this vehicle. Mercedes trims and decks out everything in fine leather, upholstery and even exotic woods. The craftsmanship inside of this SUV is beautiful. The 2019 Mercedes-Benz GLS-Class gives you plenty of space to store your groceries and other goods. With all of the seats in use, you still get 16.3 cubic-feet of storage space. With the seats in the optimal positions, you can extend that up to an impressive 93.8 cubic feet of cargo space. The Mercedes-Benz GLS-Class can seat up to seven passengers. It has three seat rows which are all easy to get to. It's easy to enter and exit the vehicle no matter which row you're sitting in. This is one roomy vehicle with plenty of space above your head and around your feet and elbows. The last row isn't just for small kids. Even tall and larger adults should be comfortable back there. The 2019 Mercedes-Benz GLS-Class features AWD and has a special off-road package. It gives you more ground clearance, upgraded shocks and better overall performance when you take the vehicle off of the paved roads. This SUV has legitimate off-road credibility. That's not always something you find in a luxury vehicle where luxury and comfort are the primary concerns of the manufacturer. There is an almost ridiculous amount of options for the Mercedes-Benz GLS-Class. You have standards such as exterior colors, interior upholstery and safety features. Mercedes goes deeper even in these basic categories, allowing you to choose from numerous interior materials, colors and patterns. The number of luxury and safety features is staggering. You can easily customize a Mercedes-Benz GLS-Class to suit your needs and your style. Mercedes-Benz has one of the best reputations of any automobile manufacturer. Previous models of the GLS-Class have scored better than the competition when it comes to durability. The 2019 Mercedes-Benz GLS-Class is expected to be no different in this regard. If you want a well engineered and reliable vehicle, it doesn't get much better than Mercedes-Benz. The Mercedes-Benz GLS-Class is filled with great features to keep you and your passengers safe. Many of them come standard on all models. Some of the top, standard offerings are rear-view cameras, emergency braking and a forward-collision warning system. Another great feature is the driver-attention monitor. This makes sure that you don't nod off on long drives. Optional features include a blind-spot warning, active lane control and a system that warns you of your speed based on scanned speed signs. Fuel economy is never a strong suit of large SUVs. For all of the good qualities of the Mercedes-Benz GLS-Class, it will cost you at the gas pumps. From the two different V-8 engines you can expect to get around 14 mpg in the city and 19 mpg during highway driving. The base-model V-6 does slightly better with a rating of 16 mpg in the city and 22 mpg on the highway. The 2019 Mercedes-Benz GLS-Class offers a ton of features and options. Unfortunately, very few of them come standard on the base model. You have to choose and then pay for nearly every feature. 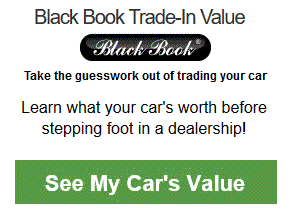 This can quickly add up and increase the cost of your vehicle. More standard features and a better division of features per trim level would have been nice. The infotainment system in the Mercedes-Benz GLS-Class isn't bad. It comes with a nice looking 8.4-inch display. The speakers and stereo sound fantastic. Mercedes lets you choose an optional entertainment package for the middle and rear seats too. Unfortunately, there are a lot of features and modern perks associated with infotainment systems that are still missing here. Hopefully, Mercedes upgrades this system next year. As is, this is the only real negative to an otherwise amazing interior. Among the many luxury SUVs, the 2019 Mercedes-Benz GLS-Class has three top competitors. These are the Land Rover Range Rover, the Cadillac Escalade and the Lincoln Navigator. All are quality, full-size SUVs. 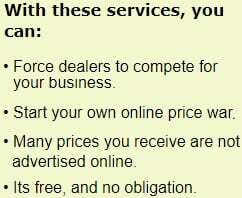 They all offer good performance, tons of features and luxury appointments. 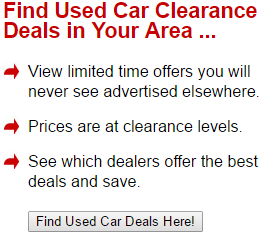 All of these SUVs are similarly priced too. The Land Rover Range Rover is a rugged vehicle in both looks and function. It's a beast for off-road fun. Still, the Mercedes-Benz GLS-Class is no slouch in this category. The Land Rover's base price is significantly higher than the price of the Mercedes. The Mercedes provides more cargo space, a better interior and a more refined ride quality. Cadillac's Escalade has a muscular V-8 engine that compares well to the Mercedes-Benz GLS-Class. Steering and handling feel better in the Mercedes. Cadillac does give you more standard features at a comparable price to the base model of the GLS-Class. The Mercedes comes out ahead here in comfort and quality. The interior is nicer, and it has a better predicted reliability rating than the Cadillac. The Lincoln Navigator offers more interior room than the GLS-Class. It has slightly more cargo space too. Both vehicles seat the same number of passengers. Both offer comparable levels of quality and luxury. The Mercedes-Benz GLS-Class is a little bit less expensive. The GLS-Class wins here with much better engine performance and a better overall driving experience. The 2019 Mercedes-Benz GLS-Class is a fantastic vehicle. It's versatile and can do anything you would need out of a large SUV. It has a level of luxury, quality and craftsmanship that can't be matched by its competition. The ride quality is fantastic. The engine performance and handling are outstanding. The GLS-Class is a pleasure to drive. 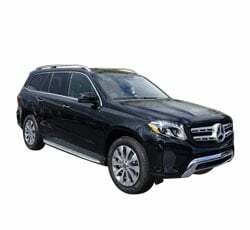 If you need a luxury vehicle that can do it all, the Mercedes-Benz GLS-Class is an excellent choice.